There are many reasons why an external drive or USB drive would need to be formatted. Maybe you want to change to a different file system How to Format a USB Drive and Why You Would Need To How to Format a USB Drive and Why You Would Need To Formatting a USB drive is easy. Our guide explains the easiest and fastest ways to format a USB drive on a Windows computer. Read More . 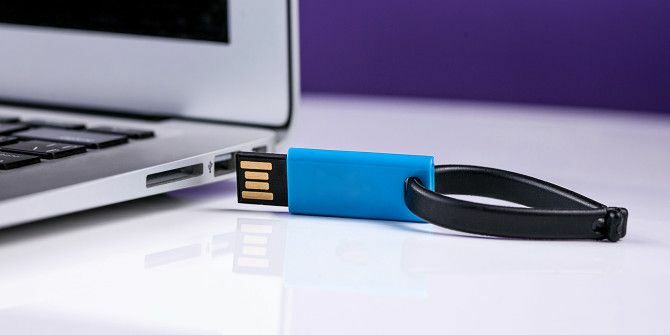 Or maybe you need to fix a corrupted or unreadable drive How To Make Corrupt USB Jump Drives Work Again How To Make Corrupt USB Jump Drives Work Again Read More . Or, as in my case, you just want a one-click method for clearing the contents and turning the drive into a clean slate for use again Preparing An External Hard Drive For Use With Mac OS X Preparing An External Hard Drive For Use With Mac OS X If you've just purchased a new external hard drive for your Mac, it's important to take the time to prepare your hard drive for use with Mac OS X. Read More . Whatever the reason, OS X makes it super easy to format any external drive to whatever file system you want — much easier than in Windows or Linux, if you ask me. Warning: Formatting a drive erases all of the data on it so be sure to back up your data first 5 Local Mac Backup Solutions That Aren't Time Machine 5 Local Mac Backup Solutions That Aren't Time Machine There are lots of Mac backup options out there, and many of them have features that Apple's default backup app just can't compete with. Read More ! If you accidentally format without backing up, you may be able to recover your data after the fact The Best Data Recovery Software for Mac to Find Lost Data & Files The Best Data Recovery Software for Mac to Find Lost Data & Files Did your SSD happen to die? Digital camera SD card corrupted itself? Don't despair — here's what you can do to recover your files on your own. Read More but no guarantees. Launch the Disk Utility app. Select the external drive in the left sidebar. Click on Erase in the top button bar. Give the drive a new name, select the file system you want, and keep the scheme as GUID Partition Map unless you know what you’re doing and need a different type. Click Erase and you’re done. It shouldn’t take long. Once it’s over, your drive will be formatted and ready to use. Is there another way to format external drives in Mac OS X? Let us know in the comments below! Explore more about: Drive Format, USB Drive. Which Mac Makes the Best Server?What Security Threats Face Mac Users In 2016? What if I need to format to EXT4?